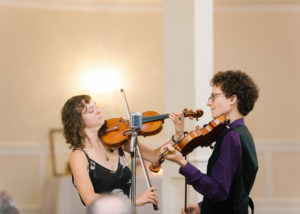 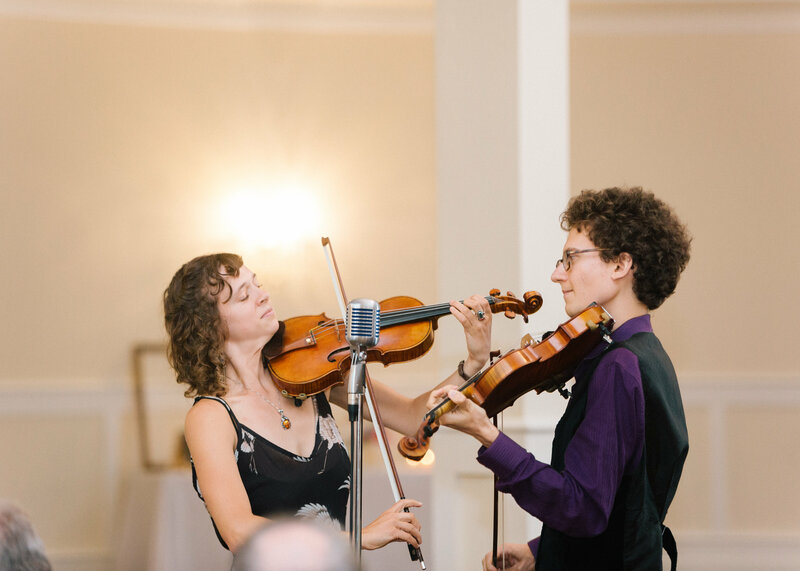 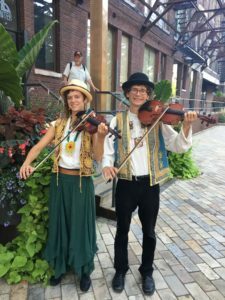 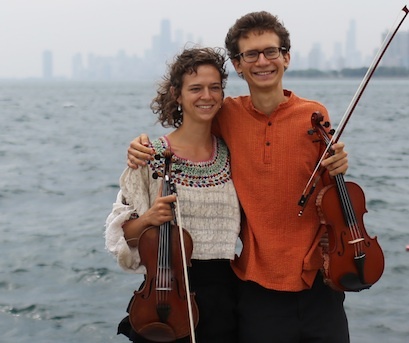 Compass Rose Violin Duo performs acoustic music perfect for dinners, weddings, private parties, fundraisers, house concerts, and many other events. We are passionate about music from around the world! 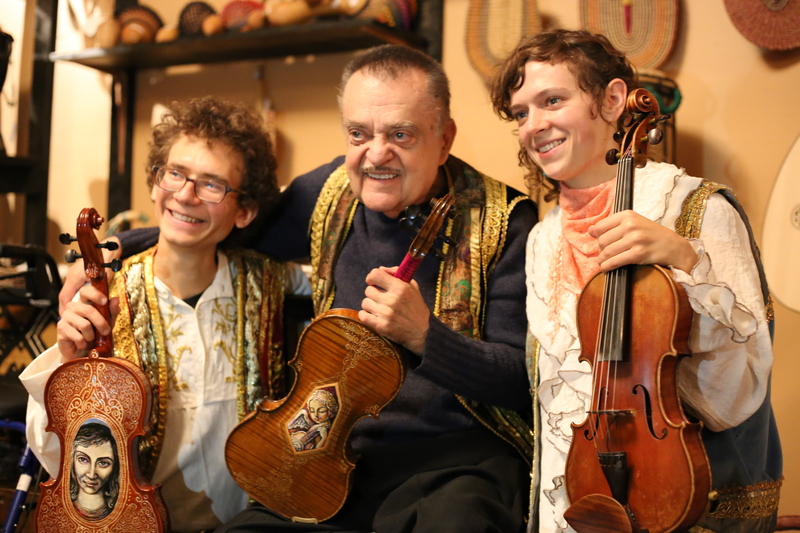 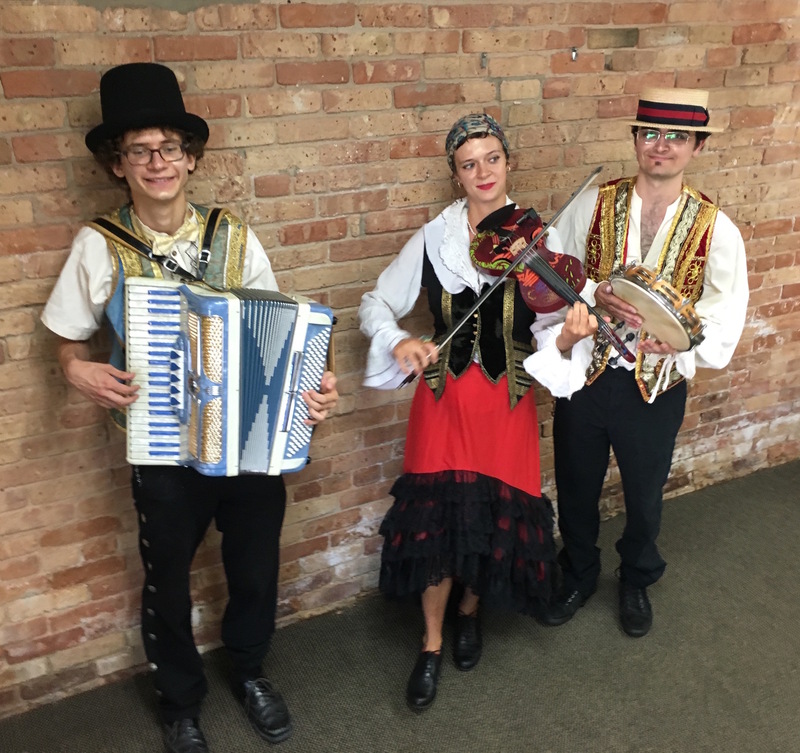 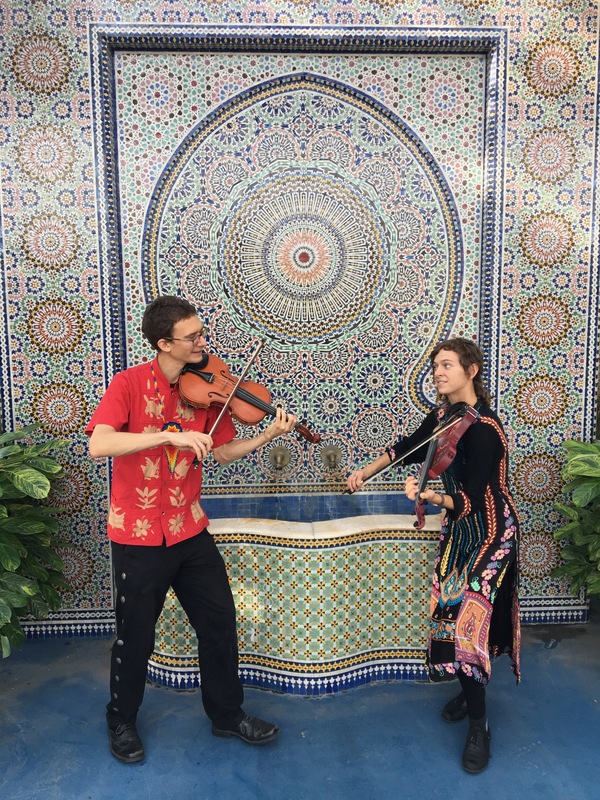 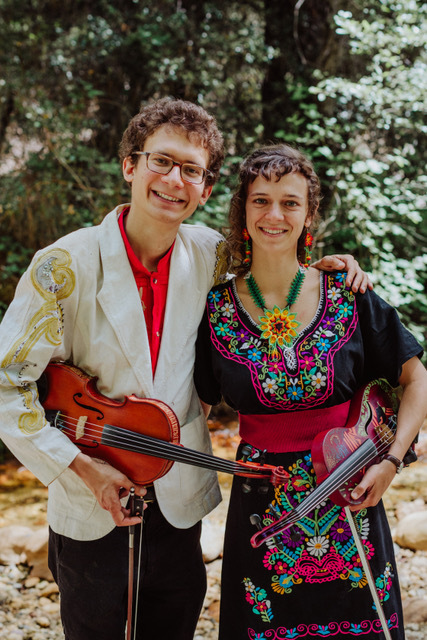 Our repertoire includes Mexican, Latin, Pop, Soul, Classical, Jazz, African, Arabic, Persian, Turkish, Greek, Balkan, Italian, Russian, Polish, Jewish, Indian, Chinese, Thai, Celtic, Americana, and Christmas music. 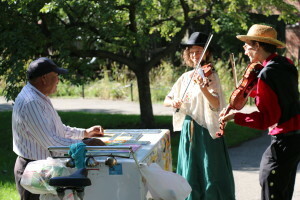 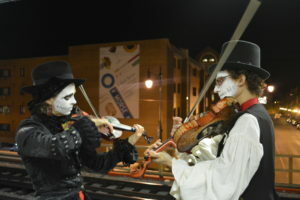 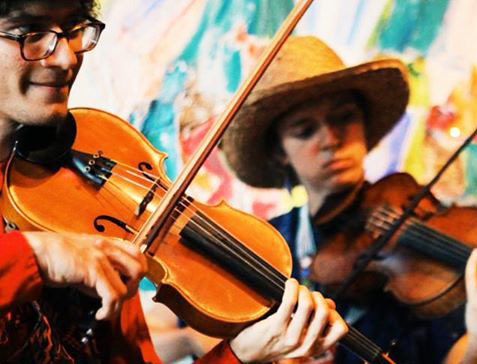 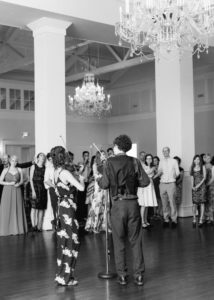 We usually perform as a strolling violin duo, but we can adapt our instrumentation to fit the event. For international music presentations, we sometimes bring many instruments. 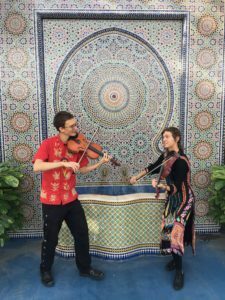 Our instruments include oud, accordion, sitar, dotara, kemancheh, banjo, guitar, and percussion.